Present in 16 countries throughout Europe and Latin America, Verisure Securitas Direct is a leader specialized in developing products and services among the home security sector. We are an award winning ‘Internet of Things’ company, having amassed a wealth of experience and expertise over more than 25 years. Unlike many competitors, we keep most work in-house to guarantee premium quality every step of the way. Our office in Madrid is a top R&D Center in the connected smart home market. Here we create and develop services and products for home security and home automation. We are looking for people who can make a tangible positive impact in delivering breakthrough innovation in Research & Development to transform and add value, not only to our Company but the industry itself. We are looking for a dynamic candidate, customer and result oriented, driven by processes and methodology, with high technological background and powerful negotiation/communication skills. As we are living in a place where changes are the constant thing, technology gives us power to do and have better things that’s why Securitas Direct is looking for a passionate Software Engineer with experience in backend development and API solutions. Being a part of this team, you will be involved in projects since its conception, that’s why we are looking for autonomous engineers who can be involved since the analysis and development design until the test and implementation. We would like to be platform owners, so we develop in a high quality environment, implementing SW development best practices and maintaining our platform with a zero bugs target. You will interact with internal and external staff which demands a continuous communication and teamwork. Relevant international display (Europe) for the technical solution integration of the other countries, which are part of the group Securitas Direct. Master/ B.A in Computer Engineer or Telecommunications. +5 years of probable experience in IT. +5 years of experience as Java backend engineer on a distributed environment. Experiences on technologies like JBOSS, WebLogic, etc. Expertise needed in databases, preferable Sybase, Oracle, MS SQL, Cassandra. Knowledge of development methodologies, control version tools, integration/ continuous delivery and quality (GIT, Maven, Jenkins, Artifactory, SONAR, JUnit, etc). Good communication skills to explain in detail. Interaction with different involved teams. Knowledge or experience in micro services architectures and strategies to transform applications’ to this architecture. Experience in front end development of mobile applications. Experience in TDD or BDD. Expertise in messaging JMS or brokers (rabitMQ, nsq or Kafka). We are looking for someone who is a strong match with our Company’s DNA with a "can do" attitude and with proven ability to deliver and achieve results in fast paced & dynamic environments. Passionate in Everything We Do: Our people have a sense of energy that is unmistakable, one that drives us to delight our customers and focus on creating impact quickly. Our people take care of people; we connect caring, knowledgeable and decisive experts with innovative technology to protect what matters most. 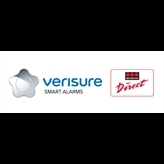 Verisure Securitas Direct is the European market leader in monitored ‘smart alarms’ to more than 2 million residential and small business customers. This entrepreneurial company operates in 14 countries in Europe and LATAM and is on average 3.5 times the size of its nearest competitors across its footprint. Approximately 80% of its consumer base is located in Spain (40%), Sweden (20%), Norway (10%) and France (10%). The business has enjoyed consistent double-digit top and bottom line growth over the past 20 years as a result of its highly entrepreneurial and innovative approach to business - for example it was the first company in the industry to introduce voice-based SMS/GSM transmission, the first to use “two way voice” (enabling a direct conversation with the consumer via the control panel), the first to add image verification (to assist in assessing risk and in dramatically reducing false alarms) and the first to enable home control via a mobile application. This kind of innovation has led to Verisure Securitas Direct enjoying industry leading customer retention of >90% and residential customer churn below 7%. Verisure Securitas Direct takes responsibility for the whole value chain - from product development, design and sales to installation, service and 24/7 professional monitoring, verification and response - to ensure it can bring peace of mind to its customers. Thanks to a strong focus on the customer experience, Verisure Securitas Direct’s customers are amongst the most satisfied and loyal in the industry. Verisure Securitas Direct invests over half of the EBITDA from its customer portfolio in growth every year and has been growing in every one of its geographies throughout the financial crisis. This is partially the result of still very low penetration rates of monitored alarm services in Europe (single digit compared to >20% in the US), providing significant opportunity for continued growth. Verisure Securitas Direct also continues to organically expand internationally and has opened offices in Brazil, Italy and Peru in just the last two years. Our organization has grown from 6,000 to over 10,000 employees and partners in the past two years and our continued successful growth is dependent on our talent pipeline. Our people are our business. The core offering is a monitored alarm system that incorporates sensors (i.e. motion, fire, humidity) and a central control panel that are remotely monitored by Securitas Direct on a 24/7 basis. Verisure Securitas Direct personnel investigate incidents, contact owners and dispatch guard, police and fire brigade response where appropriate. In addition, the company has moved from offering fire and intrusion protection to lifestyle-oriented ‘connected’ functionality and services, which expand its customer offering and significantly grown its addressable market. These services are enabled by new product innovations around video functionality, light control, temperature control, elderly care, etc. Through its current product portfolio, the company provides a modular and expandable platform for various connected home applications. The product connects through a secure gateway to scalable cloud services and offers video monitoring, access control, water leakage/moisture detection, among others – all app-controlled through mobile devices.